Sell Your House Fast For Cash! We Buy Your House Directly From You. No Agent Fees! SC Home Offer are locally operated and family owned cash house buyers in Greenville, SC. We are a Greenville home buying company that will take the time to understand your needs, your situation, and what matters most to you. Are you at risk of losing your home to foreclosure? Can’t keep up with the maintenance and repairs? Need to relocate quickly? Do you just want to avoid the entire hassle of selling your house the traditional way? Or do you just need some help understanding your options? Give Daniel a call at (864) 506-8100 today. You found our website because you may have a Greenville house you need to sell quickly but at a fair price. We buy houses fast in Greenville County and surrounding areas. Since we can pay with cash, we are able to close as quickly as you need us too. We are the local “We Buy Houses in Greenville” Company that offers real estate solutions to Greenville homeowners no matter what situation they may be facing or the condition of the house. See what our clients say about us in some recent SC Home Offer reviews. SC Home Offer LLC specializes in buying houses for cash in “as-is” condition. 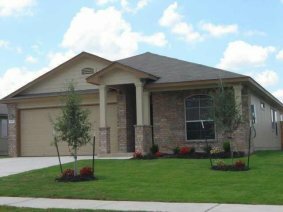 We have helped many homeowners by buying their home quickly and for a fair price. Since we buy homes in as-is condition, you are able to walk away from your home without making any repairs. You don’t even have to clean it! We Buy Houses in all counties throughout the Upstate Including Greenville, Spartanburg, Anderson, and Pickens. 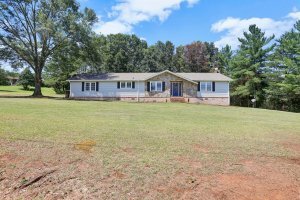 We buy houses in Greenville. 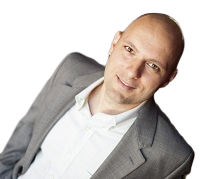 If you need to sell your house fast in Greenville call (864) 506-8100 today. We help property owners just like you, in all kinds of situations. From divorce, death of a family member, burdensome rental property, and all kinds of other situations. Sometimes, those who own property simply have lives that are too busy to take the time to do all of the things that typically need to be done to prepare a house to sell on the market… if that describes you, just let us know about the property you’d like to be rid of and sell your house fast for cash. Stop the frustration of your unwanted property. Let SC Home Offer LLC buy your Greenville, South Carolina house now, regardless of condition. We are Professional Greenville Home Buyers who specialize in buying houses for cash in “as-is” condition, we buy ugly houses all over the Greenville and Upstate area. If you are looking to sell your Greenville, SC home, you’ve come to the right place! We buy many houses throughout the Upstate and have helped many sellers just like you. We give homeowners who NEED to sell their house fast in Greenville and cities in the Upstate South Carolina area another option. SC Home Offer LLC buys houses fast in Greenville, SC which encompasses the following zip codes, 29604, 29605, 29608, 29609,29613, 29601 ,29602 ,29603 ,29606 ,29607 ,29610 ,29611,29614,29615 ,29616 , and 29617. We certainly love what we do and it's really more than about buying houses…it's about the people we meet and are able to help along the way which makes it so rewarding. We promise to provide you with a Fast, Easy and Hassle Free Home Selling Experience. Enter the property address below or call us at (864) 506-8100 today to sell your house with SC Home Offer. Do you need to sell your house fast? 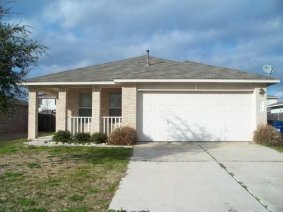 We buy houses in Greenville for cash in any condition. SC Home Offer helps property owners just like you, in all kinds of situations. From divorce, foreclosure, job loss, maybe you have inherited an unwanted home, tired of dealing with your rental property, and all kinds of other situations. 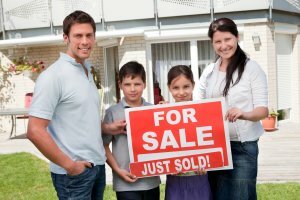 Do you need to sell your house fast in Greenville, SC? Call (864) 506-8100 and get your cash offer today! You may have been searching on the internet for terms like “Need to sell my house fast Greenville SC” or “cash offer on my house Greenville SC” or maybe even “sell my home without an agent Greenville SC” and the list goes on. No matter your reason for wanting to sell your home fast…SC Home Offer LLC offers simple, easy and hassle-free solutions for your real estate situation. If you want to sell your Greenville house fast… we’re ready to give you a fair all-cash offer today. You never have to make repairs and we pay all the closing costs for you! Check Out How Our Process Works. It doesn’t matter what condition the house is in, or even if there are tenants in there that you can’t get rid of… don’t worry about it. We’ll take care of it for you. And if you need the cash quickly, we can close as quickly as you like because we buy houses with cash and don’t have to rely on traditional bank financing. We offer our home buying service as an option for you to consider when you need to sell your home fast or when you just don’t want the hassle of selling your home the traditional way with an agent. We work differently at SC Home Offer LLC. When you contact us and submit the short property information form (below), we’ll give you a fair all-cash offer on your house within 24 hours… and the best part is: we can close whenever YOU choose to close – it’s entirely up to you. Sure, we may not be for everyone but you owe it to yourself to at least check out what we can do for you…it doesn’t cost you anything and there is never any obligation to sell your home to us. We always want what’s best for you even if that means we don’t buy your home. Daniel D’Ambrosio and SC Home Offer LLC take a lot of pride in being able to assist so many homeowners who need to sell your Greenville house fast… whether it’s as a result of a foreclosure, bankruptcy, divorce, probate, inherited home, behind on payments, a landlord who’s tired of dealing with tenants, or any number of other reasons… we’d love to help you discover all of your options available to be able to sell your house fast and easy today. One way to sell your house fast in Greenville is with our “We Buy Houses Greenville” program where we’ll make you an all-cash, no-obligation, and no-hassle offer today. There are many companies that buy houses in Greenville you could choose from. However, we are cash home buyers in Greenville, SC who listen to your needs and always place your interests ahead of ours. As local trusted Greenville home buyers, we understand the importance, sensitivity, and uniqueness of each homeowner’s particular situation. Our goal each and every time is to provide you..the homeowner…the option that benefits you the most! The bottom line is…if you have a house and want to sell it… then we want to buy your home today! We are the premier “I Buy Houses Greenville” home buying company. No matter the condition your house may be in, you can sell your home even if the roof is leaking and the foundation is cracked. 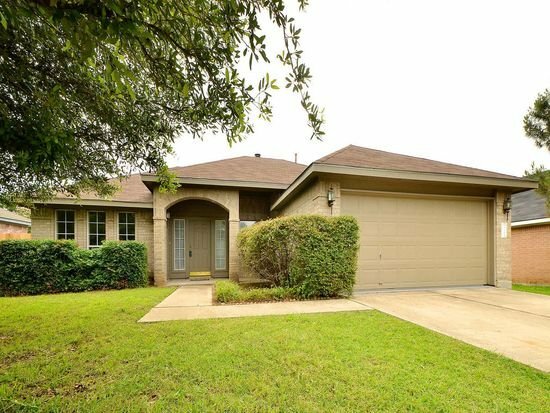 We buy ugly houses all the time! We buy houses in Greenville, South Carolina “As-Is”. Selling your home fast for cash with SC Home Offer LLC is a simple and hassle-free process. If you are looking to sell a home fast, you’ve come to the right place. We buy many houses through the Upstate and we help lots of sellers just like you… However, we are not a fit for everyone. So, please take a moment and learn about our company and process and then complete one of the short form(s) on any of page of our website. 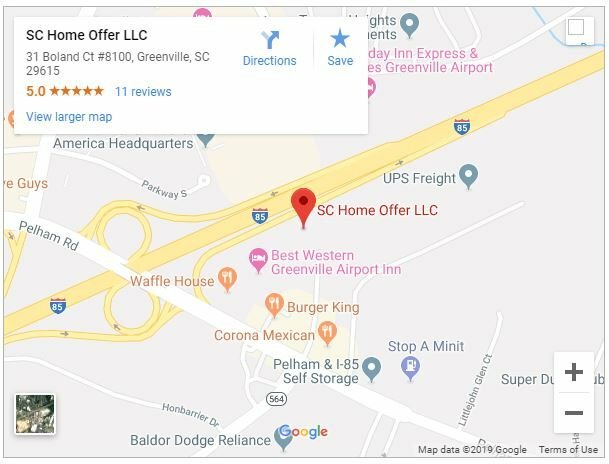 With SC Home Offer LLC your not getting just any home buying company in Greenville…you have found #1 Trusted Greenville home buyers who will pay cash for your home fast. If you are looking to sell your Greenville, SC home, you’ve come to the right place! We buy many houses through the Upstate and have helped many sellers just like you. We give homeowners who NEED to sell their house fast in Greenville and cities in the Upstate South Carolina area another option. We are professional cash home buyers and we buy houses in Greenville and throughout the Upstate. We have the real estate knowledge, legal resources, and funds available to fix most real estate problems, that includes buying your Greenville, SC area house for cash. We buy houses in the Greenville area “AS-IS”. We are experienced and local real estate professionals committed to fulfilling our clients’ needs rapidly while making the process as simple and hassle-free as possible. Many homeowners throughout Greenville and the Upstate area have sold their homes the easy way with SC Home Offer. Call (864) 506-8100 to sell your house today. When selling your house in Greenville, you need a local cash home buying company that can help you solve your real estate problem. If you’ve searched for “companies that buy houses in Greenville“, you might have found some companies that don’t actually buy houses in Greenville. That’s not the case with SC Home Offer. We are the premier cash home buying company in Greenville, SC and we can solve almost any real estate problem. TRUSTWORTHY – We are Greenville‘s number one cash homebuyer because we treat our clients with integrity and respect. WE’RE LOCAL – Daniel and his family live and work in Greenville. They understand the market and want to help improve their local communities one house at a time. I need to sell my house in Greenville fast but I do not want to pay agent fees or wait months hoping the house will sell. I just want to sell my house in Greenville and walk away with Cash in my pocket! The fastest way to sell your house is to sell directly to a local professional and experienced home buying company like SC Home Offer. Just present us with some information on your home in Greenville and we will work hard to give you our highest possible offer. of selling your home the traditional way. We understand that selling your house can be a daunting task especially when you need to sell your home fast. We will work hard to give you our highest possible offer on your property. FAST Home Sales is here to help! Enter the property address below or call me at (864) 506-8100. What county is Greenville South Carolina located in? Greenville is the seat of Greenville County, in upstate South Carolina, United States. Greenville is the second largest city (by urban population) in the state of South Carolina. Who is the Mayor of Greenville, SC? Knox H. White serves as Mayor of Greenville, SC. Mayor White has held this position since December 11, 1995, which is the longest anyone else in Greenville history. Mayor Know White was born in Greenville, graduated from Greenville High School, Wake Forest University and the University of South Carolina Law School. He is a partner in the law firm Haynsworth, Sinkler & Boyd. What is the population of Greenville South Carolina? Greenville, South Carolina’s estimated population is 68,219 according to the most recent United States census estimates. Greenville, South Carolina is the 6th largest city in South Carolina based on official 2017 estimates from the US Census Bureau. What are the neighborhoods that make up Greenville, SC? The following neighborhoods comprise Greenville, SC: 1200 Pelham,155 Riverplace,Abney Mills,Air Base Highlands,Alta Vista,Altamont Terrace,Annacey Park,Anniston Ridge,Arcadia Hills,Ashby Park,Ashford,Ashmore Springs,Augusta Acres,Augusta Heights,Augusta Ranches,Augusta Road,Augusta Road Hills,Avalon Estates,Avalon Reserve,Avondale West,Balfer Court,Beaumont,Belle Meade,Bells Grant,Belmont Heights,Berea Forest,Berea Heights,Biltmore Estate,Blackstone,Blue Mountain Park,Bonnie Vista,Botany Woods,Bradford North,Braemor,Briarcreek,Brick Street Lofts,Bridgeview,Brookfield,Brookfield West,Brookforest,Brookwood,Brownstone Crossing,Brutontown,Buxton,Camilla Park 2,Canterbury Hills,Cardinal Creek,Cardinal Estate,Carilion,Carriage West,Carters Grove,Casa Loma,Cedar Lane Gardens,Cedar Vale,Chandler Ridge,Chanticleer,Chanticleer Towns,Charleston Place,Charter Oaks,Chaunessy,Cherokee Forest,Cherrydale,Chestnut Hills,Churchill Falls,City View,Cityhomes at McBee Station,Claremont,Clearview Acres,Cleveland Forest,College Heights,College Park,Collins Creek,Cottage Hill,Country Club Estates,Court Ridge,Crescent Creek,Crestwood,Cypress Run,Deer Ridge,Deerland Plantation,Del Norte,Dove Tree,Downtown,Dunean,E. Lynn Addition,East Highland Estates,East Park Historic,Enchanted Forest,Fair Heights,Falcon Ridge,Faris Ridge,Farmington Acre,Field House,Forest View,Forrester Farms,Forrester Heights,Forrester Woods,Forrester Woods Estates,Four Oaks,Foxbrooke,Freetown,Fresh Meadow Farms,Furman Area,Furman Place,Glenbrooke Townhouses,Glendale,Glenlea,Gower Estates,Grandview Hills,Green Valley,Greens at Rocky Creek,Greenville Country Club,Grove Estates,Grove Park,Half Mile Lake,Hampton Farms,Hampton Grove at Green Valley,Harbor Town,Hawkins Glen,Heritage Hills,Highland,Hollingsworth Park,Hollyvale,Hunters Ridge,Huntington,Idlewild,Indian Hills,Inglewood,Isaqueena Park,Ivy Grove,Ivybrooke,Judson,Judson Mill,Kellett Park,Kennedy Park,Kingsgate,Kingsview Pointe,Lake Forest,Lake Forest Heights,Lake Harbor,Lakewood on the Saluda,Lansfair at Ashby,Laurel Heights,Laurel Meadows,Lee Heights,Lenhardt Creek 2,Lewis Village,Lexington Place,Linkside Green,Linkside III,Linkside at Bonnie Brae,Lofts at Mills Mill,Magnolia Acres,Maple Grove,McDaniel Greene,McDaniel Heights,McKenna Commons,McSwain Gardens,Melrose,Merrifield Park,Mills Mill,Montebello,Morningside,Mountain Trace,Nicholtown,No Subdivision,North Cliff,North Garden,North Main,Northside Gardens,Northwood Hills,Norwood,Oak Crest,Oak Hollow,Oak Knoll,Oak Pointe,Overbrook,Palmetto Downs,Paramount Park,Paris Mountain,Park Lane,Parkdale,Parkins Grove,Parkins Mill,Parkside Acres,Parkside Villas,Partridge Ridge,Pebble Creek,Pebble Lake,Pecan Terrace,Pelham Estates,Pelham Springs,Pendleton West,Piedmont Park,Pilgrims Point,Pine Forest,Pine Gate,Pine Grove Heights,Pine Hill Village,Pinehurst at Pebble Creek,Plainview Heights,Plantation Greene,Plantation on Pelham,Pleasant Valley,Poe Mill,Poinsett Corners,PondiCherry,Poplar Forest,Preserve at Parkins Mill,Randall Court Condos,Reedy Falls,Reedy Springs,Richland Creek at North Main,Richmond Hills,Ridgeland at the Park,River Run,River Valley,Riverbend Condos,Riverdale,Riverdale Acres,Rivermist,Riverside,Rockvale,Rockview Height,Rockwood at Augusta,Rocky Creek Acres,Rolling Green Village,Roper Mountain Estates,Rosedale,Saluda Downs,San Souci Heights,Scottswood,Shamrock Acres,Shannon Creek,Shannon Forest,Shiloh Estates,Shoally Ridge,Shoals Crossing,South Forest Estates,Spaulding Farm,Spring Forest,Springs Station,Stallings Heights,Starsdale Manor,Staunton Place,Stone Lake Heights,Stone Ridge,Stonebrook Farm,Stratford Forest,Summerfield,Summersett Manor,Summersett Place,Swansgate,Tanglewood,Tanner Estates,Tanner Mill,Terra Creek,Terrace at River Place,The Brio,The Cove at Butler Springs,The Custom House,The Edge on North Main,The Elements,The Heights,The Oaks at Roper Mountain,The Ravines at Camellia Village,The Ridges at Paris Mountain,The Summit at Pelham Springs,The Townes at Cardinal Creek,The Townes at Pelham,The Townes at Pine Grove,The Townhomes at the Grove,Thistle Down,Timberlake,Tinsley Place,Town Park,Treybern,TuscaN Woods,Union Bleachery,University Park,Valley Oaks,Victor Monaghan,Virginia Condos,Vista Hills,Wade Hampton Gardens,Wade Hampton Terrace,Warrenton,Washington Heights,Welcome,Wellington Green,West Prentiss Towns,Westcliffe,Western Hills,Westwood,Wetherill Park,White Oak,White Oak Hill,White Oaks,Wildaire,Windsor Park,Woodfields,Woodland Creek,Woodland Hills,Woodruff Crossing-The Townes,Woods at Bonnie Brae,Woodside Mill Village,Woodstone Cottages,Woodville Heights,Yorktown Condos.